Meditation – more than just an aid to wellbeing, the ancient discipline could soon be used to treat conditions from obesity to multiple sclerosis . The research by Dr Brown and pain specialists at Manchester University gives fresh insight into the way that meditation may work to help ease many of today’s symptoms of a stressful lifestyle. Meditation is the practice of focusing attention on what is being experienced in the present moment, rather than the future or the past. In this way, it’s suggested, meditators learn to experience thoughts and emotions in their everyday life with greater balance and acceptance. Dr Brown and the university of Manchester has found from brain scans that the meditators had less activity in the areas of the brain associated with anticipation. They also had a reduction in the sensation of pain compared to the other people. 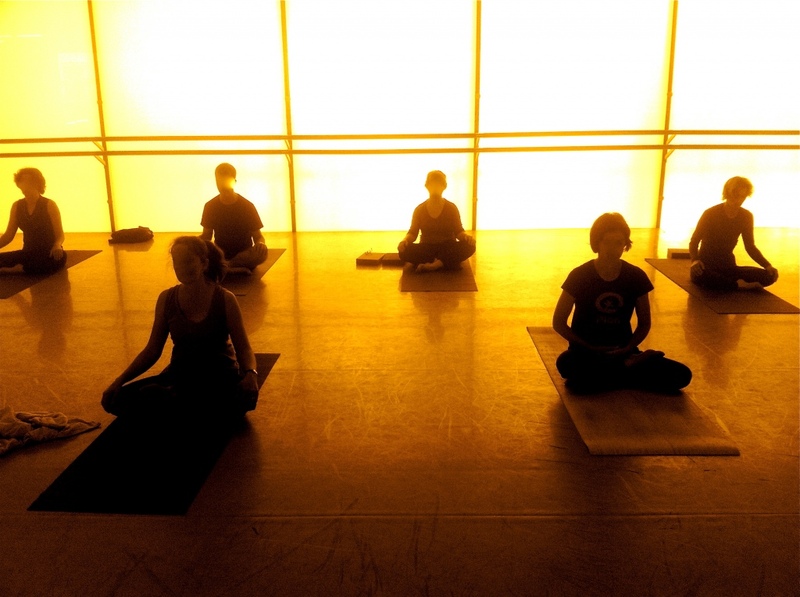 How can Urban Yoga Monkey classes start or support your meditation practice? If the idea of “sitting still and breathing” creates a anxious response rather than a relaxing one for you then try exploring meditation with me in one of my Urban Yoga Monkey classes. Meditation is explored in a practical and dynamic way throughout urbanyogamonkey sessions as we move between posture to posture. There is also a more classical sitting practice at the end, that my students tell me, suddenly becomes alot more attainable, and accessible as it feels like a spontaneous internal desire to be still, and not a part if the class they used to dread or fight against. I use the unique Yoga Monks method is set up to develop the ability to increase the awareness of our responses to situations, objects or sensations. It is our awareness that can offer us the space to notice our reactions and decide whether to indulge in them, or remain centered. With a regular and simple meditation practice, our lives can feel less like a of a rollacoaster ride, not because our lifestyle has flat-lined but because we are no longer at the will of our unconscious or irrational thoughts, saying things and regretting them later or losing our cool minds when under duress.